3D printing might just revolutionize the monster design process. Bringing the Demogorgon to life in Stranger Things required more than interdimensional rifts to the Upside Down. The monster’s creation relied heavily on the fascinating technology of 3D printing. 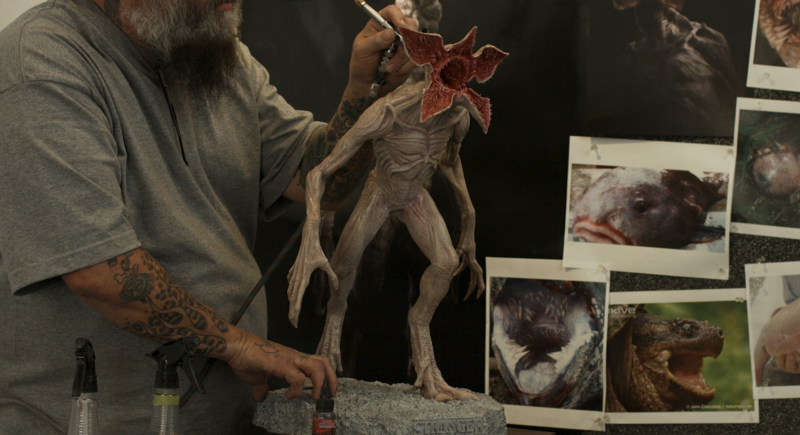 A video from Formlabs released Monday reveals an inside look at the creation of the Demogorgon from Stranger Things Season 1, a design that went on to have a lasting impact in the sequel season. 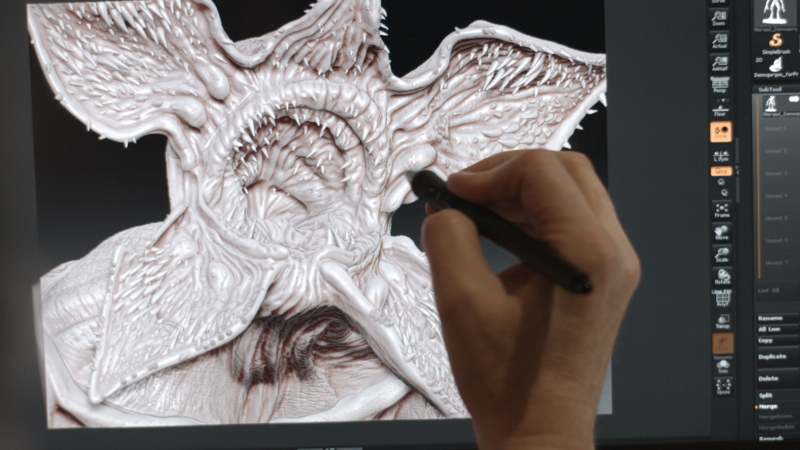 In the video, members from Aaron Sims Creative talk about their experience designing not only the terrifying Demogorgon, but how their use of 3D-printing might revolutionize how asset design works in Hollywood. Typically, a VFX studio sketches out a design and later creates a 3D rendering that would be sent to the film studio — and their job is done. But when the Duffer Brothers approached Aaron Sims Creative for help designing the Demogorgon, they wanted something becoming fairly rare in the industry today: more practical effects. Digital 3D assets play an important role in the design process. The Duffers wanted the design process to reflect traditional methods used by film studios in the ‘80s (yes, they love the ‘80s aesthetic that much). Sims Creative founder Aaron Sims had the practical experience, but working in clay has mostly been phased out by most studios due to time and cost; back in those days, visual effects designs used clay maquettes and a more collaborative effort between VFX studio and film studio. You can see the animals in the background that no doubt inspired the design on the Demogorgon. The original Demogorgon was one of the first designs printed in-house, and it’s hard to disagree with how terrifying the final product was in Stranger Things. Check out the behind the scenes video below to learn more about how 3D printing and the incorporation of both digital and practical effects impacted the Demogorgon’s design. For more information about the design of the Demogorgon, head to Formlabs. If you liked this article, check out this video of 3D printing tech that helped assist doctors in a facial transplant surgery.